A strange kind of ‘hybrid’ star has been discovered almost 40 years since it was first hypothesized, but until now has been inquisitively hard to find. In 1975, famous astrophysicists Kip Thorne, of the California Institute of Technology (Caltech) in Pasadena, Calif., and Anna Żytkow, of the University of Cambridge, UK, gathered a theory on how a huge dying star could swallow its neutron star dual partner, thus converting into a very uncommon form of stellar hybrid, named a Thorne-Żytkow object (or TŻO). 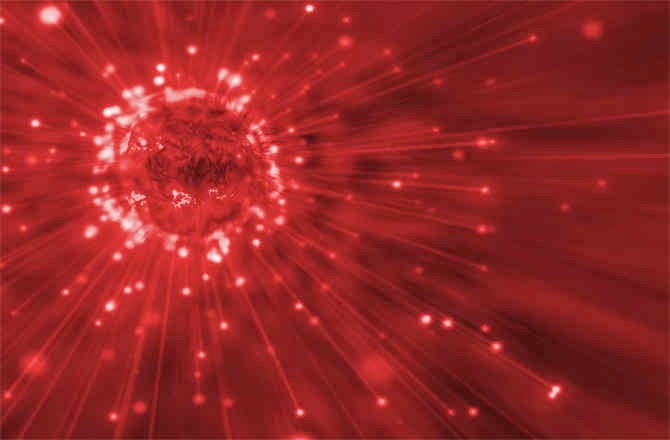 The neutron star, a solid husk of degenerate matter that was once was a huge star long since gone supernova, would convert into the red supergiant’s core, disturbing normal fusion procedures. According to the Thorne-Żytkow theory, after the two entities have fused, a leftover of the elements rubidium, lithium and molybdenum will be produced by the hybrid star. So astrophysicists have been on the hunt for stars in our galaxy, which is supposed to contain only a few dozen of these things at any one time, with this precise chemical mark in their atmospheres.